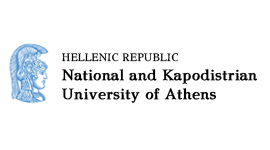 Petrakis P.E., Kostis P.C., Kafka K.I. (2015) Secular Stagnation, Disruptive Innovation, Rate of Returns and Uncertainty: Entrepreneurship Evaluation in the New Era, 5th Global Innovation and Knowledge Academy (GIKA) Conference, "New Knowledge Impacts on Designing Implementable Innovative Realities", 13-16 July 2015, Valencia, Spain. Petrakis P.E. (2015) On the Greek Growth Model, International Conference “A New Growth Model for the Greek Economy”, 3rd June, Athens, Greece. Carayannis E.G., Petrakis P.E. (2016) “Growth, Culture and Entrepreneurship”, Palgrave Studoes in Democracy, Innovation and Entrepreneurship for Growth, Palgrave McMillan.